Today we embarked on day three of our “Reading and Writing Project”. We began our lesson by reviewing how we are constructing learning together around the topic of becoming a self-regulated learner and shared a few of the students examples of how they created the thinking from the chart into their own words. See the video noted below to hear what they had to say about their interpretation of this work. What I noticed when I was in classrooms today. Students were reviewing their notes from the past two days of reading and writing work. Students were using the given graphic organizers to create their notes for their essay paragraph. Students were creating and writing their essay paragraphs on their own (as we requested for teachers not to scaffold the writing or give whole group writing instructions). Students were eager to share their writing with me today when I went into their ACE classrooms and the students wanted to be the exemplars shared on the broadcast for the next video. Students were writing essay paragraphs that were on topic. After our first day of the “Reading and Writing Project”, we filmed our students talking about what they learned after reading the article about self-regulation. Click on the link below to see their responses. Students were reading and discussing the topic with their classmates with ease. Students did not struggle to read the text on the first day, even though it was above the middle school reading level, which goes to prove that attacking short length complex text provides for success in this much-needed area. Students were able to refer to our stated learning intentions and success criteria that we stated on the broadcast. Students got the gist of the topic and what it might begin to mean for them and could explain it to others. Discussion of the topic was still at the surface level but definitely started the beginning knowledge building for the next phases of this learning. Today we are beginning our first “Reading and Writing Project. I have included the student packets and teacher directions for facilitating the lessons noted below. As a collaborative team, we decided that we wanted our learning to be visible and that we wanted our students to live and breath what we are reading and learning about too. 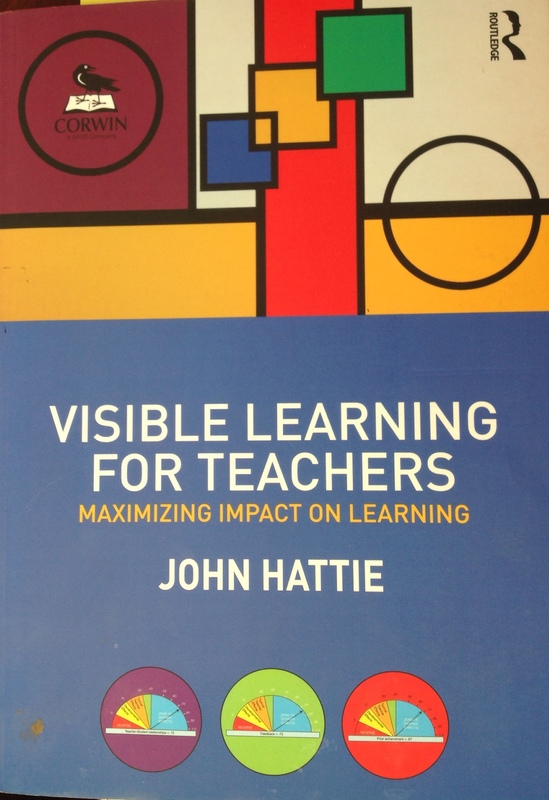 We are studying the research of John Hattie and working to create self-regulated learners, we decided this did not have to be done in secret. The students needed to understand this research and take on the work of becoming a self-regulated learner themselves. So, this year, our “Reading and Writing Project” will focus on what it takes to be a self-regulated learner and each lesson will share examples of ways to build these skills and characteristics or highlight people and/or experiences that have modeled these characteristics. We will begin our lesson with a short movie about John Hattie’s research and what it means to be a self-regulated learner. As we begin a new year, we have reflected on what we learned from an entire year of running the “Reading and Writing Project” last year. We still needed to discuss and learn about the what makes a text complex. Some of our lessons had text that were not sophisticated enough to discuss and write about. Complexity is not the length of a text but the sophistication of the meaning of the text (layers of meaning). Some teams could use more learning and support in creating close reading lessons. Close reading is a vehicle to attacking complex text, but it is not the standard. A theme or common reading topic would be a great idea to help construct learning as an entire school over time. Providing the expectation for first starting at the word level on the first introduction read, opened the conversations up for our second language learners and struggling readers. We noticed students asking questions about words that never spoke in class before because everyone students was involved in defining words and unknown phrases during the first initial read. Students could write a good topic sentence in their paragraphs. Students could write a good conclusion sentence in their paragraphs. Students were citing evidence in their writing, but they were not explaining why they cited the given evidence. Students were staying on topic but not elaborating on the topic. From the information note above, we have now prepared for our next reading and writing project of the year with these ideas in mind. Additionally, we received our first CAASSP scores and realized that we need to focus on a few other skills as well. Student needed to be able to write informational essays along with argumentative essays. Students needed to work on citing their evidence in their writing. Students needed to work on their collaboration and listening skills. Students needed to continue to read and write from a variety of text genres. Our students need to take ownership of their own learning. So we have added a rubric from the SBAC so they can assess their own writing skills. Students need to constantly reflect on their own progress and growth. So, we have added student reflection videos to each project this year. Students need to know the purpose of the learning. So, we have added “Learning Intentions” and “Success Criteria” to all the “Reading and Writing Project” lesson presentations. We believe in being data driven and evidence bases in all that we do and this information that is stated above has helped our team as we have begun to plan for this next year of lessons regarding reading and writing.